Dr. Ming Leu, the Keith and Pat Bailey Missouri Professor of Integrated Product Manufacturing at Missouri S&T, is being honored by the American Society of Mechanical Engineers (ASME) for his role in advancing manufacturing research. The professional society has named Leu, who also directs the Intelligent Systems Center at S&T, the winner of its 2018 Milton C. Shaw Manufacturing Research Medal. The award recognizes significant fundamental contributions to the science and technology of manufacturing processes. Leu was nominated by his colleague Dr. Robert G. Landers, Curators’ Distinguished Professor of mechanical engineering. Leu has published over 400 referred publications in technical journals and conference proceedings, one e-book and nine book chapters over his 36-year academic career while receiving four U.S. patents (plus two pending). He has delivered more than 300 technical presentations and his publications have received over 8,600 citations with an h-index of 45. Leu has also obtained more than $28 million in external grants since joining Missouri S&T. His technical interests are in the areas of additive manufacturing, virtual prototyping, computer-aided design and manufacturing, robotics and automation, machine dynamics and control, and cyber-physical systems. Leu earned a bachelor of science degree in 1972 from the National Taiwan University, a master of science degree in 1977 from Pennsylvania State University, and a doctorate in 1981 from the University of California at Berkeley. All three degrees were in mechanical engineering. 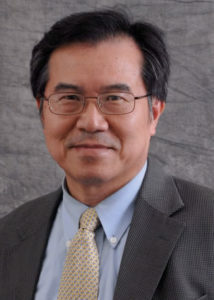 A former faculty member of Cornell University’s School of Mechanical and Aerospace Engineering, Leu held the State Chair Professorship in manufacturing productivity at New Jersey Institute of Technology from 1987 to 1996. He then took a leave of absence to direct the National Science Foundation’s (NSF) activities in manufacturing processes and equipment, a position he held until 1999. 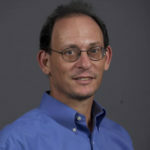 Leu has received several professional awards, including the University of Missouri President’s Leadership Award in 2017, ASME’s Blackall Machine Tool and Gage Award (2014), the Hideo Hanafusa Outstanding Investigator Award (2008),, the Harlan J. Perlis Research Award from the New Jersey Institute of Technology, the NSF’s Presidential Young Investigator Award, the Society of Automotive Engineers’ Ralph R. Teetor Education Award and the Forest Products Research Society’s Wood Paper Award. In addition, Leu was a member the New Jersey Institute of Technology team that received the University Lead Award from the Computer and Automated Systems Association of the Society of Manufacturing Engineers. He was elected as an ASME fellow in 1993 and a fellow of CIRP (International Institution for Production Engineering Research) in 2008. He is a member of the Sigma Xi, Tau Beta Pi and Phi Kappa Phi honor societies. The Milton C. Shaw Manufacturing Research Medal was established in 2009 and is named after Milton Shaw, a prominent manufacturing researcher and educator, who taught for five decades at the Massachusetts Institute of Technology, Carnegie Mellon University and Arizona State University. The award will be presented at the 2018 ASME Manufacturing Science and Engineering Conference in late June at Texas A&M University.